1. Dissolve yeast in milk and water. 2. Add eggs and sugar and mix. While mixing add the flour bit by bit. 3. Melt the butter for about 1 min in the microwave and add it to the dough. Mix it all with a pinch of salt and put the dough aside for about 30 mins. 4. 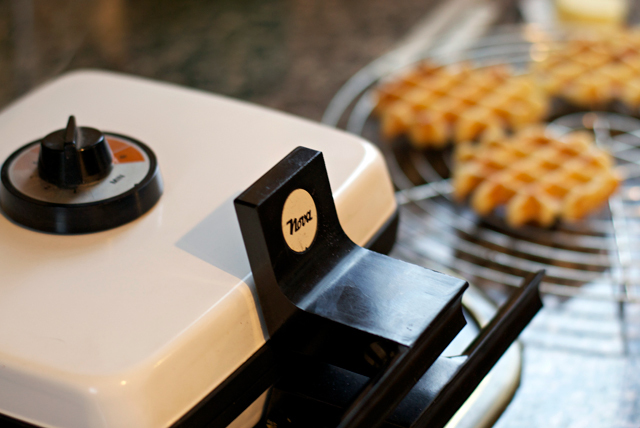 Heat the waffle iron and grease it with some butter. 5. 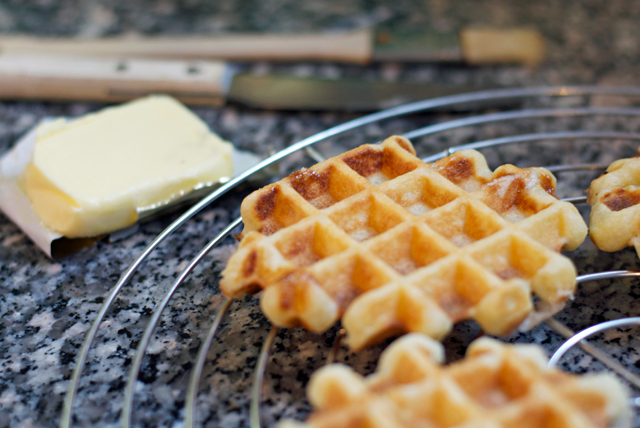 Mix in the pearl sugar and start making the waffles (1 tablespoon of dough per waffle). They'll take about 3 minutes. 6. 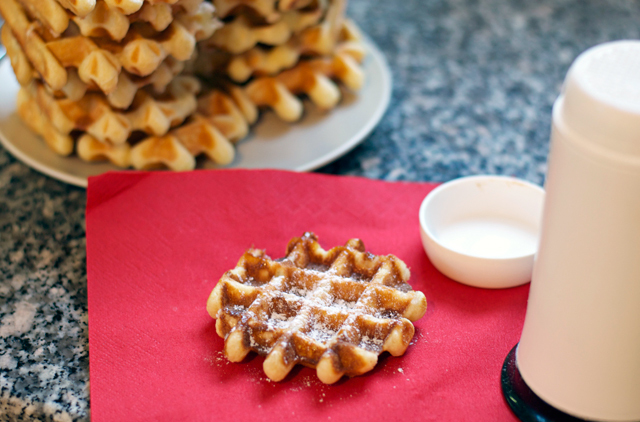 Enjoy while still warm with some powdered sugar. Daat sin déi Bëscht. Mai Bouf flippt op Eisekuchen. Merci fir d'Rezept. I will surely test out this recipe! Ahhh! I'm jealous! I would love a waffle machine right now! Especially if I could invest and buy a cast iron big waffle iron, I TOTALLY WOULD. Your waffles look great! I'd eat it with honey/icing sugar/nutella! I love waffles! Yours look so delicious... need to get myself a waffle iron one day. Your waffles look so delicious!! I would love to make them, but I don't have a tool, waffle making machine :(( maybe one day..
well done, I should try it looks delicious! Hm, super lecker! Ich hab auch noch ein Waffeleisen im Schrank. Da hab ich gleich einen Grund es endlich mal wieder einzusetzen! Oh yum!! 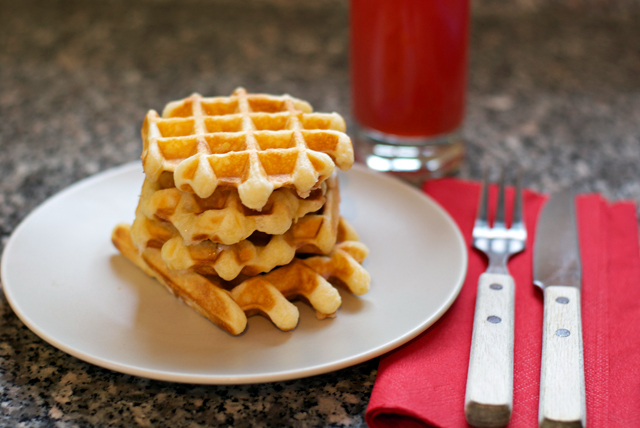 These waffles look insanely delicious! I want to make some now! Yum yum, looks amazing! 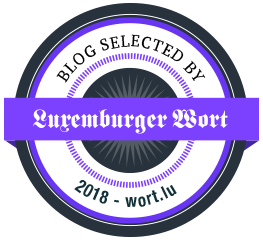 Your blog is wonderful and it was so nice to meet you, I'm looking forward the next event!